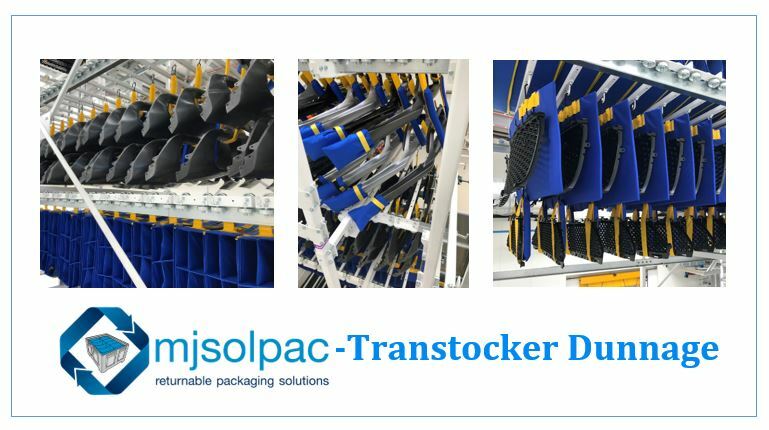 Transtocker systems are dynamic racks which store and move different types of components on a single structure, and are designed to use all available space or height within a factory. Mjsolpac can create hanging systems to best protect your components. Here are some examples we have designed and manufactured in our Telford factory to hold bumper and door components in a customer’s Transtocker system. We designed these to ensure minimum contact with A face surfaces and they are colour coded for the vehicle model.